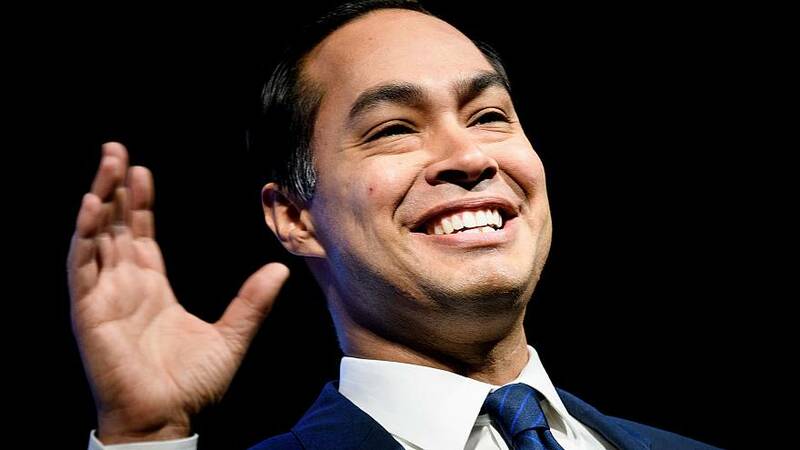 The TriBeCa neighborhood of New York is a long way from Des Moines, Iowa, but for 2020 Democratic hopefuls, it's quickly becoming a worthwhile detour on the campaign trail.On a fourth-floor studio inside the art deco AT&T building, former Housing and Urban Development Secretary Julián Castro waited for his turn to be interviewed — just after an appearance by Grammy Award-winning singer Gabriella Wilson, better known as H.E.R. — on everything from immigration to reparations. 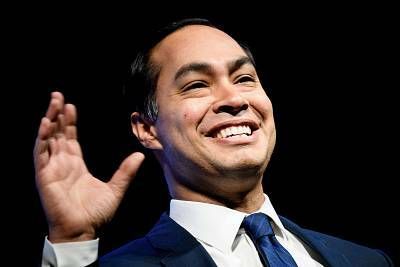 "These folks reach so many people out there," Castro said. "And today in politics, you can get on all the political shows as much as you want, but that's not really only where the audience is. "Eight years ago, the "world's most dangerous morning show" started in New York with a focus on hip hop, pop culture and the black community.Now, hosts Charlamagne Tha God, born Lenard McKelvey, Angela Yee and DJ Envy (born Raashaun Casey) reach more than 8 million monthly listeners and have more than 3.5 million subscribers on YouTube. This year, they've hosted almost a third of the Democratic field, including Sen. Cory Booker, Sen. Bernie Sanders and Sen. Kamala Harris.But it's not just the size of the audience that draws political candidates.According to Nielsen data, 77 percent of the show's audience is African-American or Hispanic, a demographic that makes up nearly a third of the Democratic primary electorate, according to one Brookings Institute study.There's also the authenticity factor.The crew, known for asking personal questions that aren't typically broached on the Sunday morning political talk shows, inquired about Harris' past use of marijuana ("I did inhale. It was a long time ago," she told Charlamagne) and whether Booker is dating anyone ("I got a boo," he answered). "I think here, we just want them to be real. Like just a real person, not just an answer that they say 365 thousand times," DJ Envy said. "Even with Kamala Harris, we asked her what she listened to. What does she do if she has a day off? What do you do? "In their February interview, the hosts hit Booker on his perceived closeness to the pharmaceutical industry, and they pushed Harris to defend her record as a prosecutor. "You just can't be vague in your answer," Yee said. "A lot of times people don't have real solutions. They'll just be vague like, yes, of course I'm gonna do something to make that happen — but what? ""Real estate. Home ownership. Banking. The fact that we can't get loans," DJ Envy said. "Those are the things that matter to me as far as our community. "The hosts are aware that candidates coming on their show can risk being seen as pandering, a risk Hillary Clinton took in 2016, when she appeared on the show as the Democratic nominee.In the April 19 interview, Yee asked the candidate if there was anything she always kept in her bag. "And it happened to be hot sauce," Yee recalled. "It did feel like at the time that she was pandering, but we did do some research after and she's a big hot sauce fan. "Charlamagne remembers it as an "authentic moment. ""When I said to her: 'This is one of those times they're gonna say that you're pandering to black people,' and she was like, 'Well, is it working?' Like, that was an honest answer. She didn't have to say that," Charlamagne said.The hosts also said they're trying to determine if a candidate has an agenda for black voters in particular. "There's so many things that have negatively affected us, that we still haven't been able to even come at and even start, so I think it is important," Yee said.The biggest mistake a candidate can make when reaching out to their audience? "Not having an agenda, for blackness, you know hitting us with that same old, 'a rising tide lifts all boats' rhetoric," Charlamagne said. "Black people's boat is broken. It's got a hole in it. So it's not gonna rise when the tide rises. Actually we're gonna end up getting drowned."